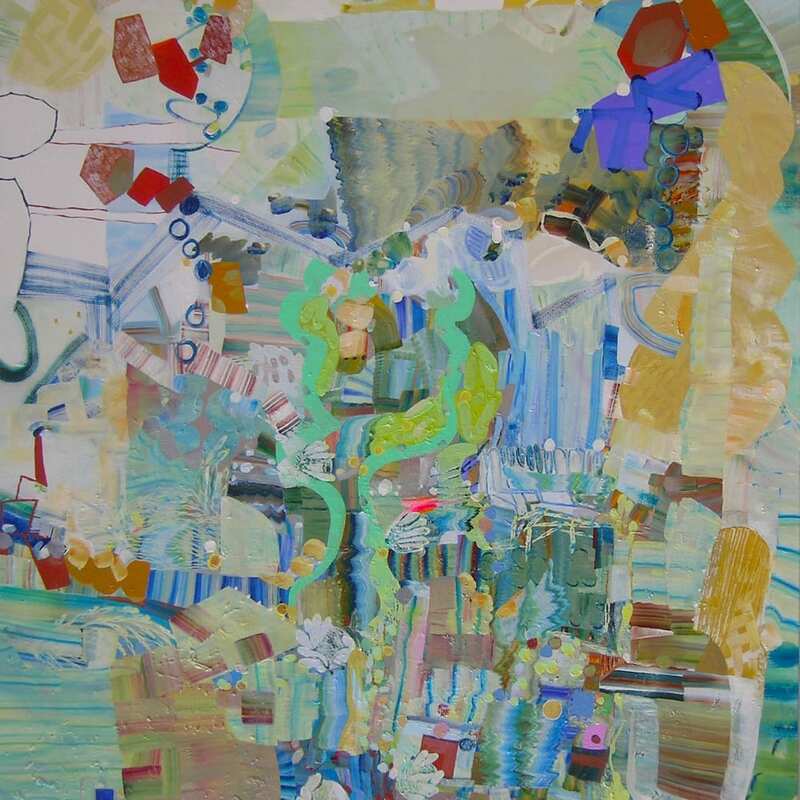 Josette Urso makes paintings and drawings working directly and urgently in response to her immediate environment. Her approach involves moment-to-moment extrapolation governed by intuitive leaps of scale, color and wayward geometry. In the artist's collages, the visual space is simultaneously highly randomized and highly ordered. The play of visual coincidence creates pleasures, just as it keys us into the generative power of chaos. In all her work, Urso’s visual contrasts and cross-fertilizations unfold and are cumulative, nonlinear, free-flowing and interpretive. Space becomes an ambiguous and malleable substance; its manipulation and acrobatic mark-making become a kind of gymnasium of expertly-placed color and shape.